Are you taking full advantage of the economy? The stock market is going up and down depending on what the news reports. It is impossible to predict where the economy will land. But it doesn't matter if you are prepared! 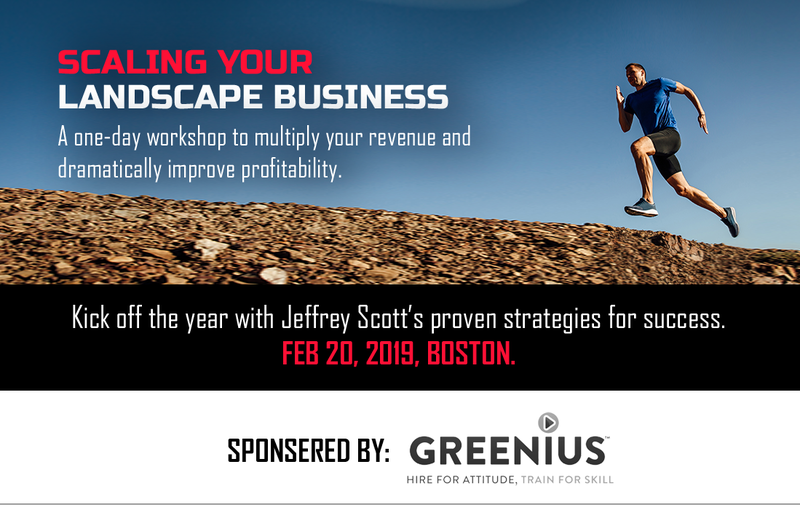 This new workshop I am holding in Boston on February 20th (Scaling Your Landscape Business) will help you get prepared, so you can take full advantage in any economy. I have been through many ups and downs over the years, and taking the long-term view always wins. You will learn how to implement these 4 strategies that will make you successful and help you grow profitably. Scale your operations by recruiting, training and empowering key talent. You will learn how to accomplish more with the team you have built, and how to upgrade your team so you can win in any market. Jack Welch claimed that a solid leadership team is the best strategy to win in any industry. I agree with him. I have also found you need to understand your numbers, and make sales with profit in mind. We have a surprise guest speaker joining us that you don't want to miss! He is an industry super star, and he will share how he has done extremely well throughout the years and decades. And Dinner! I will also have a separate VIP dinner the night before for those flying in or staying local the night before. Email me for details on dinner, ticketed separately.